The North Sentinel Island lives in the Bay of Bengal east of India’s coast. 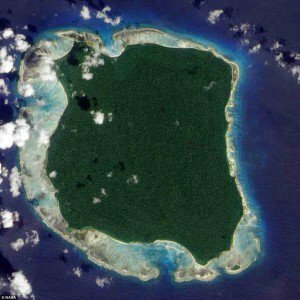 The island has been the home of the Sentinelese tribe for over 60,000 years. During this time they have had little contact with the outside world and are violent and hostile towards outsiders. As a result, the Indian government has decided to cease further contact efforts with the Islanders and has enforced a 3 mile exclusion zone. The island may appear to be an exotic paradise, however little is known of the mysterious island and its estimated population of 50 – 400 inhabitants. The islands, roughly the size of Manhattan, is primarily made up of a forest like landscape. The tribe has demonstrated they have no interest in the modern world by being inhospitable to outsiders. 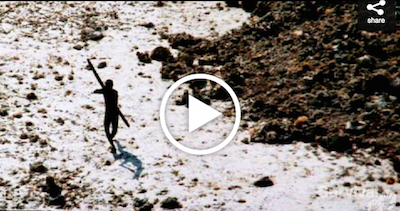 In 2006, the Sentinelese killed two men fishing close to the island. They have been known to throw rocks and shoot arrows at planes and helicopters. This has prevented anyone from taking any high quality photos of the island. 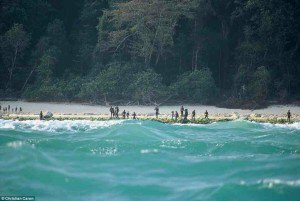 Many still continue to venture either onto or close to the north Sentinel Island, even after it had become illegal to enter the 3 mile exclusion zone.